November 28, 2018: IPAC Victoria - Annual Breakfast Outlook with Deloitte "Is a Canadian economic slowdown on your radar?" Are you a new public service professional with five years or less public sector experience? Come take part in our first New Professional event of the season sponsored by MNP! The evening will feature guest speakers, Mary Shaw, Executive Director and Chris Bordeleau, Policy Analyst with the B.C. Cannabis Legalization and Regulation Secretariat at the Ministry of Public Safety and Solicitor General. Mary and Chris will speak to the legalization of cannabis and how different challenges are faced and overcome in policy development. Mary Shaw is the Executive Director of the B.C. Cannabis Legalization and Regulation Secretariat (the Secretariat) within the Policing and Security Branch of the Ministry of Public Safety and Solicitor General. The Secretariat ensures coordination of cannabis policy across the B.C. government and led the policy development for B.C.’s Cannabis Control and Licensing Act and Cannabis Distribution Act. ​Chris Bordeleau is a Policy Analyst with the B.C. Cannabis Legalization and Regulation Secretariat (the Secretariat) within the Policing and Security Branch of the Ministry of Public Safety and Solicitor General. Prior to joining the Secretariat, Chris was a Communications Officer with the Office of the Auditor General B.C. Details: Wheelchair accessible and food allergies must be notified at least one week in advance for us to accommodate. IPAC Victoria is hosting its 3rd annual Policy Pitch Competition. Listen to competitors provide their solution to an unresolved policy issue in 3 minutes! Have an unresolved policy idea on how to improve government policies, services and programs? Submit your policy pitch to ipac@ipac-victoria.ca. Prizes will be awarded to 1st and 2nd place winners and for People's Top Choice. Click here for more information eligibility, rules and criteria. *Cancellation Policy: No refunds will be provided for cancellations. As organizations reflect on how to strategically and mindfully adopt digital value propositions, an opportunity to engage a broader ecosystem of organizations, academic institutions and government agencies has emerged. IPAC Victoria and Deloitte are partnering to facilitate and further evolve the vision for Victoria's Digital/Tech community through a two-part event series. The first event is an initial gathering of key organizations from private and public sector, educational institutions, and First Nations, BC's Digital/Tech community, BC's venture capital/investment community, and individuals passionate about economic development and growth in Victoria and across BC. The session will open with a facilitated panel discussion featuring leaders from Victoria's key technology, public sector, post-secondary education and First Nation organizations. Building a stronger ecosystem to accelerate the growth of Victoria's Digital/Tech community. Location: Marriott Hotel, Downtown Victoria, B.C. IPAC Victoria & Vancouver Regional Chapters are pleased to announce the winner of the 2018 Lieutenant Governor's Silver Medal for Excellence in Public Administration, Doug McArthur, Professor at the School of Public Policy, Simon Fraser University. As the 2018 winner of the prestigious Lieutenant Governor Silver Medal for Excellence in Public Administration, Doug McArthur, is being honoured for his outstanding contributions to policy and public administration for the past 40 years. To learn more about Doug's achievements, click here. The Honourable Janet Austin, Lieutenant Governor of BC, will host the formal award ceremony, which will be followed by a networking reception with light appetizers and refreshments. The event is being held at Government House on Tuesday, June 26th. Registration is at 5:15 pm, the ceremony is from 5:30 pm to 6:30 pm, and the reception is from 6:30 pm to 7:30 pm. NOTE: Registration will close on Friday, June 22th at 4:00 p.m. The cost is $25* to attend the event. Food and drinks are included in the ticket cost. Please reserve your seat now, as seating space is limited. To register, click here. 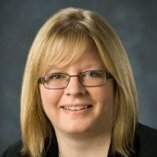 The Institute of Public Administration (IPAC) Victoria Chapter is excited to welcome New Professionals, who have recently joined the public service (within the last 5 years) or who are interested in joining the public service, to attend a speed mentoring event with senior public sector leaders. New professionals are the future leaders of the public service, but designing your career path is often a challenging and competitive process. IPAC can help new professionals meet this challenge with our speed mentoring event. New public servants will be matched with senior leader to have group mentoring discussions on successful leadership and early career growth in the BC provincial government. Come ask about the hiring process, professional development strategies, and leadership lessons learned. Deputy Ministers, ADMs, and Executive Directors will share their knowledge and advice with new public servants. Please be aware, space is very limited for this event. Our last speed mentoring event was phenomenally well received and sold out. Get your ticket early, and if you can’t come please let us know! If you try to register and the event is full, please contact ipac@ipac-victoria.ca to get on the waiting list for the event. If you have accessibility needs, please contact us at the above email as soon as possible so we can make arrangements to support your full participation. Time: 5:00 - 8:00pm *The event will start at 5:15pm, so please arrive as close to 5:00 as you can for registration. Cost: $15, Light refreshments will be served before the event starts. ​A keynote presentation from Doug Caul, Deputy Minister, Ministry of Indigenous Relations and Reconciliation, on the B.C. Government’s Commitment to Indigenization and the United Nations Declaration on the Rights of Indigenous Peoples (UNDRIP). This is followed by a Q and A panel with Doug and Councillor Marianne Alto, City of Victoria and Chief Councillor Russ Chipps, Sc’ianew (Beecher Bay) First Nation. A presentation from Georgina Black, National Lead Partner KPMG Management Consulting, titled “The Future of Work – Citizen Centred/Digitally Enabled.” This will be followed by a panel discussing digitally enabled government with Beverly Dicks, Assistant Deputy Minister, Service BC Division, Ministry of Citizens' Services, and Rumon Carter, Executive Director, Digital Strategy & Delivery, Ministry of Citizens' Services. A panel discussion on Integrated Service Delivery: Coordinating Services and Removing Silos, with Allison Bond, Deputy Minister, Ministry of Children & Family Development, Doug Hughes, Deputy Minister, Ministry of Mental Health & Addictions, Eleanor Arend, Assistant Deputy Minister Corrections, Ministry of Public Safety & Solicitor General, and Mike Capus, Partner, KPMG Human Services. These public service leaders will be sharing their thoughts and vision for the future, and we encourage you to come out ask questions and engage in dialogue about these three key policy trends. To see full agenda, click on file below. Time: 7:00 AM to 12:00 PM *Breakfast and registration will run from 7 AM to 8 AM, and the session will run from 8 AM until 12 PM. Location: Hotel Grand Pacific, 463 Belleville St, Victoria B.C. Are you a new public service professional with five years or less public sector experience? Come take part in our third New Professional event of 2018, sponsored by MNP! The evening will feature guest speaker, Selena Basi, who is an Executive Lead at the Ministry of Labour. Selena joined the public service in 2008, after completing a BA in political science, with a focus on public policy and public administration at the University of Victoria. Selena has held many interesting and exciting roles in the natural resource and economy sectors, including extensive experience engaging with stakeholders in multiple levels of government, industry and businesses, First Nations and academic institutions. Her experience has included opportunities to engage with the public in all corners of the province and be involved in advancing strategic initiatives across a variety of subject matters. Her areas of expertise include project management, economic development, policy and stakeholder engagement. She is proud to be a long standing public servant and looks forward to an opportunity to engage with new professionals in the field. Cost: There is no cost to attend this event. Appetizers will be provided and drinks are available for purchase. March 1, 2018: IPAC Victoria - Annual Breakfast Outlook with Deloitte "It's here and it's real: Unlocking value for government and services for citizens through Artificial Intelligence"
Come explore a spectrum of use cases for AI in the BC Public Service, as we touch upon real-life examples from the BC Public Service's Natural Resources Permitting Project and the Social Sector. As organizations assess the structure of work activities and the possibilities to apply AI to enhance service to citizens, they are faced with several challenging questions, such as: Is my organization a good candidate for AI? How do we make the business case for AI? How do we tackle barriers? What is the nature of the 'people' element? What are the implementation considerations? What are the benefits we could realize and how do we make the most of this change? During this breakfast event Mike Rosenblood and Jacob Kuijpers, leaders from Deloitte's strategy/Operations and Analytics and Information management practices will showcase examples of automation through AI in the BC Public Service, and ask the audience to explore key components and challenges surrounding AI projects - information that will help you prepare for successful AI adoption. Jacob Kuijpers is a Senior Manager in the Analytics + Information Management practice of Deloitte and makes Big Data, Business Intelligence and Advanced Analytics happen for his clients. For 25 years, he has strategized, architected, executed and operated data solutions ranging from traditional data warehouses to modern data lakes that allow clients to transform data into insights that matter in both private and public sector. Jacob leads Deloitte's Analytics enablement in Western Canada, which includes the data platforms required to support machine learning and cognitive applications. He is actively involved in cognitive insights projects in the insurance sector in BC and across Canada. 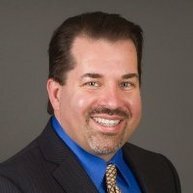 Mike Rosenblood is a Senior Manager in Deloitte's Strategy and Operations Consulting practice with over 13 years of consulting experience preceded by 6 years of public sector experience. Mike focuses on helping his clients improve service delivery; his experience ranges from setting service delivery strategy through to operational improvement, efficiency and service recovery. Most recently, Mike has led Deloitte's work in Western Canada to deploy artificial intelligence and process automation solutions. He is currently leading automation projects in the Resource and Social sectors for the BC Government (in addition to projects with Financial Services clients). ​Cost: The cost to attend this event is $15 (breakfast included) and you must register in advance by clicking the link below. IPAC Victoria is excited to be partnering with the Policy Community of Practice, the BC Public Service Agency, and IPAC's sponsor, MNP, to host our second annual Policy Conference! The conference, Diving Deeper and Building Policy Muscle, will build on the themes and discussions of last year's conference, and provide policy professionals at all levels - across ministries, other levels of government and academia - the chance to explore cross-cutting policy issues, trends and opportunities. The conference will include a check in on Where Ideas Work and an open Q&A session with Don Wright, Head of the BC Public Service. The agenda for the event is available here. Panels, with a variety of talented guest, relate to topics such as: Measuring Success, Indigenous Perspectives on Policy Making, Opioid Crisis: Collaboration across a Complex Issue and more! Location: Marriott Victoria, 728 Humboldt St. There is no fee for this event, but registration is capped (first come, first served) and is required by February 16. Please be considerate of others and ensure you are able to attend the event before registering. February 16, 2018: IPAC Victoria - Lunch & Learn "Global Trends in the Delivery of Human Services"
The challenges and opportunities faced in human service policy areas have dramatically shifted in the last decade. Policy makers are being called on to lead innovation in service structure, funding, and service interconnection at an ever increasing rate. Knowing what has worked elsewhere, and what hasn't worked, has never been more critical for those working to rapidly and successfully evolve government services. Please join IPAC Victoria and KPMG for a lunchtime seminar to discuss these policy challenges and opportunities with Martin Joyce, KPMG's Canadian National Leader for Human and Social Services. Martin will discuss and share his experiences in the human and social services sector, as both an advisor to governments and in direct service delivery roles in child welfare and social and affordable housing. His topics will traverse new funding models now being implemented across many of the human service areas, integration imperatives of service delivery and the breaking down of system silos to provide better quality services and outcomes for vulnerable communities and citizens, and touch on how technology is enabling better service delivery. Martin Joyce is KPMG's Canadian National Leader for Human and Social Services. Martin is a highly experienced executive across Government, Non-Government and Commercial sectors including direct service delivery in the not for profit sector leading change and growth agenda's. Martin has led teams while undertaking transformational change and building growth agenda's for organizations, including 13 years at KPMG Australia advising both Federal and State/Provincial Governments on how to transform service delivery approaches including integration of services, contracting frameworks, performance management arrangements and working with clients to understand their needs. Martin has a deep understanding of the community and human services sector, including 11 years in social policy and community experience across Australia, New Zealand and South Africa. His experience in the human and social services sector includes child welfare (both at a policy and direct service delivery level) housing and homelessness sectors (including direct service delivery and operations), indigenous, disability, problem gambling and mental health issues, employment initiatives, youth and justice portfolios. 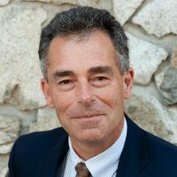 Come out and listen to guest speaker, Malcolm Gaston, Assistant Auditor General with the Office of the Auditor General of British Columbia speak to Ethics Management in the BC Public Service, including sharing best practices and key findings his team uncovered while working on a variety of projects across the province. Malcolm joined the Office of the Auditor General in 2005. Before moving to Victoria, Malcolm was with Audit Scotland developing and delivering Best Value performance audits of local government. He started his career with the United Kingdom's National Audit Office. Malcolm holds both Canadian and UK accounting designations, as well as an MA in psychology from the University of Glasgow. He has worked for two of the "Big Four" accountancy firms, delivering external audit, internal audit and advisory services to a wide range of public sector clients. Malcolm also has considerable strategic and financial management experience from his years as Chief Finance Officer of a Scottish Crown agency. Cost: This event is free, but due to fire code restriction, space is limited. RSVP: Click here! *Registration is full. December 17, 2017: IPAC Victoria - Luncheon "Tackling the Crises of Mental Health and Overdose"
​The odds are that we know someone facing mental health illness, be it a family member, a friend, or a colleague. And we have all seen or heard about the opioid crisis which has led to deaths, devastation of families, and undermining of communities. Taking action requires collaboration that spans social services, health care, education, and policing among others. It also means providing quicker access to help, raising awareness, lowering the stigma of addiction, and engaging within as much as across communities on earlier intervention and prevention. And throughout all of this, it involves innovation and a focus on results. During this luncheon, Doug Hughes, Deputy Minister of the new B.C. Ministry of Mental Health and Addictions will talk about the Provincial mandate and ways in which these imperatives are being tackled in British Columbia. Greg Lamothe, Partner and National Health Practice Leader for MNP, will also help explore the experiences seen across the country and related learnings. Seating is limited so please RSVP in advance. Cost $20 | A soup, salad and sandwich buffet (with vegetarian and GF options) is included with your registration. December 5, 2017: IPAC Victoria - Luncheon "A Fireside Chat with Don Wright"
IPAC Victoria is excited to host a "fireside chat" with Don Wright, Deputy Minister to the Premier, Cabinet Secretary and Head of the Public Service. 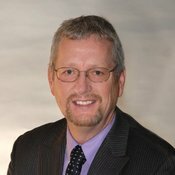 During this one-hour session, Deputy Minister Don Wright will provide an overview of his vision for the BC Public Service as a leading organization and invite questions, comments and ideas on ways in which we can take a collective responsibility to tackle the weighty issues that keep Don up at night! In the spirit of showcasing leadership at all levels, this session will be moderated by a co-op student within the B.C Public Service. Please note that due to space limitations, you must register for this free event in advance. ​Click here to RSVP. Are you a new public service professional with five years or less public sector experience? Come take part in our November New Professional mixer sponsored by KPMG! This mixer will feature guest speaker, Jonathan Dube, Executive Director of Social Policy with the Performance Budgeting Office of Treasury Board Staff in the provincial government. Jonathan will speak to the role of Treasury Board, what Treasury Board analysts look for in submissions, and navigating a career path in government. Please note that capacity is limited so you must register in advance to attend. Register now to make sure you don't miss out on this chance to network and skill-up at our last New Professionals Mixer of 2017! Cost: No cost to attend this event, appies will be provided and drinks will be available for purchase. ​Please email ipac@ipac-victoria.ca if you have registered but are no longer able to attend so that those on the waitlist can be notified. November 19, 2017: IPAC Victoria - Lunch & Learn "Embracing Disruption : Be Bold, Be Brave, Be Experimental"
What does disruption look like in the public sector? How confident are you in kicking "old ways of thinking" to the curb? 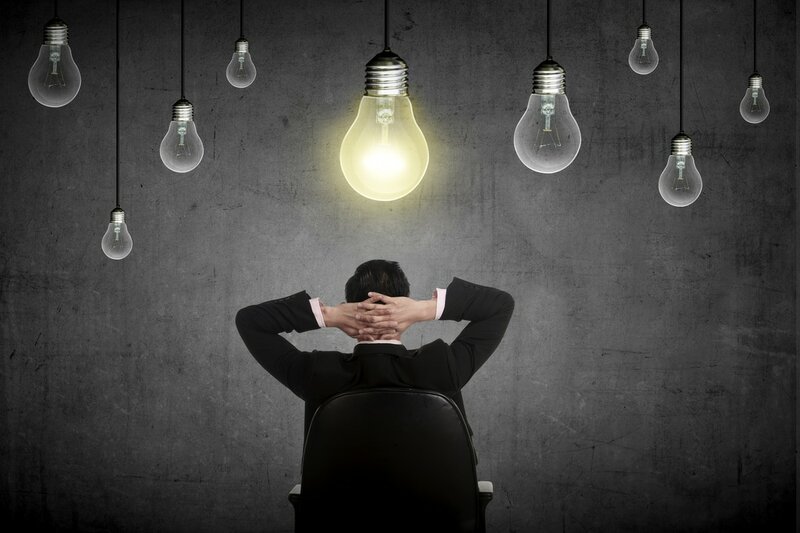 How can you work to embrace innovation and have a strong impact at work? In your community? During this breakfast event, Shawn Kanungo, Innovation Leader, Deloitte Digital, will take us on a journey to explore some of the most significant disruptors facing society today and tomorrow and demonstrate that anyone can contribute to solving real world problems in new world ways. Because context matters, we invite you to put forward a real problem/opportunity facing the provincial government. During the session, you will participate in collaborative real- time solutioning focused on a current and pressing issue. At the end of 90 mins, a full cycle of exploration and concept solution will be completed. Shawn Kanungo is a strategist and sought-after keynote speaker. Over the past 11 years with Deloitte, he has been recognized nationally and globally for his work in the innovation space. Shawn works with corporate executives to better understand and plan for the opportunities and threats associated with disruptive innovation. He is on the ground floor helping private and public sector organizations adopt new technologies and business models for the digital age. Shawn shares his hands-on experiences through talks around the world to help leaders navigate change within a digital era. In 2016, he was recognized as Avenue Magazine's Top 40 Under 40. He has been featured in Forbes, The Globe & Mail, The Guardian, CBC and CTV. Location: Marriott Inner Harbour, Victoria B.C. We like to thank Deloitte, for being our sponsor for this event. This event sponsored by MNP, will feature guest speaker, Peter Watkins, Executive Director of Strategic Initiatives and Partnerships with the B.C. Ministry of Citizens' Services. Peter will speak to Continuous Service Improvement (CSI) and how it plays into change management. He has a fascinating story behind where the idea came from and will go into greater detail on what the concept implies and what change it is trying to create in the public service. 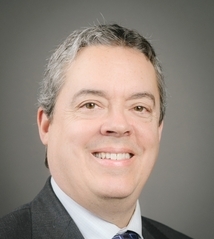 Peter Watkins has more than 20 years of experience as an information systems professional and public servant. He is one of the driving forces and experts behind the government's strategy for a user-centric solution to the vexing problem of digital identity information management and the recently launched chip enabled BC Services card. Peter's newest work is exploring the intersection of digital identity and the advent of web API's. He has worked in software development, system design, IT operations, as well as management, service development and policy development. We like to thank MNP, for being our sponsor for this event. Please join us October 19 from 5-7pm for a chance to socialize and unwind with your fellow IPAC members and friends over craft brews and appies at the luxurious Victoria Regent Inn Penthouse with its sweeping views of Victoria Harbour. Enjoy a beer tasting with three hand-picked brews from Category 12 Brewing in Saanichton, paired with assorted canapés. Our reception sponsor, MNP, has also organized a fun Beer Match Challenge, which will feature a chance to win a craft brewery tour for two from Vancouver Island Expeditions and other beer-inspired prizes! The cost to attend is $10 and includes appies and beer tasting. All proceeds will be donated to a local Victoria charity. Still hungry? Head on over to The Guild for a 3-course dinner option for $30, to be served in the restaurant at 7:30pm following the close of the event. Those not wanting dinner will be offered the ability to reserve a table in the restaurant for drinks after the event. Fall is here, and IPAC Victoria is excited to welcome our Indigenous, Federal, Provincial, Municipal, private and academic colleagues to come out and celebrate with us the end of summer and the beginning of our various legislatures, councils, and policy agendas. IPAC Victoria will be hosting a meet and greet with our Board members and community partners. Find out about our upcoming event schedule and to hear about our AGM and how you can get involved. Free refreshments will also be provided. *﻿Please RSVP﻿ so we can confirm numbers. Ever since the writ was dropped on April 11, 2017, British Columbia has experienced a remarkable sequence of events: not only was the election period long to begin with but the outcome of the election produced a remarkable distribution of seats in the BC Legislature, which, in turn, required several weeks to confirm final vote tallies in certain electoral districts as well as negotiations and decisions about which party leaders would be invited to form the next government. This sequence of events led to longer-than-usual caretaker arrangements and now to a delicate minority government. These recent developments are interesting on their own terms, but the BC Public Service has not experienced a “big T” transition with a change party and leader since 2001, when the Campbell Liberal government swept into power. Not only has there been tremendous change in how government works since 2001, many public servants have never experienced a full government transition or a minority government situation, and despite today’s unique circumstances, they remain dedicated to public service excellence. The purpose of the roundtable is to explore what is known about the role and challenges for the public service during government transitions, and when serving minority governments. It will also explore the role of public service institutions as important lynchpins of our democratic system along with the Crown and elected governments and legislatures. Finally, the panel will explore some of the issues and challenges which arise during transition and minority government situations, and why preserving the tradition of a neutral, professional public service is essential in our Westminster system of government. Our panelists – Joy Illington, Beverly Romeo-Beehler, Anne Tiernan, and David Zussman – a blend of practitioners and scholars-practitioners – will provide perspective on these developments, issues, and challenges, and stimulate a dialogue with the audience. Come join us, and our facilitator, Professor Evert Lindquist, for an engaging discussion! *Please join after at the University Club for drinks - cash bar only. Light refreshments will also be served. Please join the IPAC Victoria & Vancouver Regional Chapters in celebrating the career achievements of Dave Nikolejsin, Deputy Minister of Natural Gas Development at the BC Public Service. As the 2017 winner of the prestigious Lieutenant Governor Silver Medal for Excellence in Public Administration, Dave Nikolejsin, is being honoured for his outstanding contributions and dedication to public service. The Honourable Judith Guichon, Lieutenant Governor of BC, will host the formal award ceremony, which will be followed by a networking reception with light appetizers and refreshments. The event is being held at Government House on Wednesday, June 28th from 5:30 to 7:30pm. The cost is $10 for IPAC members, students and New Professionals, and $25 for non-IPAC members. Come watch as our five finalists present their policy solutions in three minutes or less. The top two will win prize money up to $700. And you, the audience, will help choose the People's Choice award of $500. Registration Fee: $10 for non-members and $5 for members and students . Light refreshments will be served. May 25, 2017: IPAC Victoria New Professionals - "Skill-Up"
Come take part in our fifth monthly skill-up social networking event for New Professionals on Thursday, May 25th. Join us in the Maple Room at the Sticky Wicket Pub to hear Captain Doug Young, Chief of Staff of the Maritime Forces Pacific/Joint Task Force give a talk on leadership within the public sector. While leadership is a phrase that we often hear within the public sector, Captain Young will provide a unique and refreshing view as to what this really means! He will also be speaking on how you can effectively and efficiently develop your leadership capacity. Captain Young has a long and distinguished leadership career spanning over 34 years of military experience, with several senior leadership roles in both instruction and operations. He has commanded two battleships, and has held numerous shore leadership posts including as the Commanding Officer of the Pacific Operations Support Centre. Mixer admission is $7 this month and includes a drink ticket for beer or soda, as well as unlimited access to our appetizer buffet. Please note that in addition to the generous support provided by KPMG, your fee allows us to reserve the venue. Come enjoy some appetizers, have a drink and mix and mingle with New Professionals from other ministries! March 30, 2017: IPAC Victoria New Professionals - "Skill-Up"
​Come take part in our third monthly skill-up social networking event. This month our main speaker is Philip Twyford, Chief Financial Officer and Executive Director with the Ministry of Technology, Innovation and Citizens' Services. He will be sharing his knowledge and experience on briefing senior public service leaders. Philip has a long career as a thought leader and innovator, and was most recently responsible for re-envisioning IM/IT capital investment within the B.C. government. Philip will be joined by Steve Martin, a Senior Associate with KPMG Advisory Services in Victoria. Steve has over 30 years of public sector experience in both BC and Ontario, and will share some insights and nuances based on his experience on briefing executives and being briefed as an executive. February 23, 2017: IPAC Victoria New Professionals - "Skill-up"
Join us Thursday, February 23 from 5-7pm at the Yates Street Taphouse to listen to Brooke Hayes, Executive Director within the Ministry of Technology, Innovation and Citizens' Services give a short presentation to New Professionals to help them "skill-up" on procurement fundamentals. Brooke and her team are responsible for procurement transformation efforts at the Provincial level. Together they introduced new innovative tools, such as the two-page, short form request for proposals template and BC Bid Resources. Come out and take part in this FREE "skill-up" social networking event and mix and mingle with New Professionals from other ministries! FREE appetizers will also be provided. Donald Trump's stunning victory has left many Canadian public administrators wondering what the impact of a Trump Presidency will have on Canadian policy. IPAC Victoria invites you to come out and discuss this highly-contested topic with keynote speakers Dr. Michael Prince, University of Victoria professor, policy consultant and frequent media political commentator and award winning author, Craig Gates, MNPs national leader for public sector services and Jeremy Hewitt, Executive Director with Intergovernmental Relations Secretariat and our BC Government representative. Each panelist will bring their unique perspective and expertise to the discussion, we welcome you to come out and join in on the conversation. Jay Chalke was appointed Ombudsperson in May, 2015 by unanimous motion of the Legislative Assembly. His six-year term as Ombudsperson started July 1, 2015. Jay has an extensive background in executive leadership, the conduct of fair and independent investigations and the use of modern approaches to dispute resolution. From 2011 to 2015 Jay led the Justice Services Branch of the Ministry of Justice and was responsible for delivering reforms to justice services and fostering dialogue and collaboration across the justice system. Prior to his appointment with the Ministry of Justice, Jay was the first Public Guardian and Trustee of British Columbia from 2000 to 2011. During this time, he was instrumental in implementing lasting changes to modernize service delivery, improve collaboration with stakeholders, and enhance public accountability. He was also a member of Canada’s delegation to the Hague Conference on Private International Law, which negotiated the Convention on the Protection of Adults. Thank you for joining us for a panel discussion and Q&A session on emerging trends in public administration. On the panel will be Jason Johnson, who is the City Manager at the City of Victoria, Bobbi Plecas, who is the Associate Deputy Minister at the Office of the Premier of BC, Gerry Salembier, who is the Assistant Deputy Minister of the BC Region of Western Economic Diversification Canada, and Catherine Althaus, who is an Associate Professor and Director of the University of Victoria’s School of Public Administration. The panel will be moderated by Bill Reid who is a Partner in MNP’s Advisory Services practice. 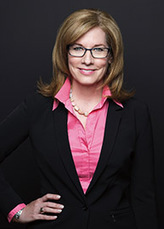 Commissioner Elizabeth Denham was appointed Information and Privacy Commissioner for BC in May 2010. Promoting privacy rights is Commissioner Denham’s top priority. Ms. Denham has led investigations into several high-profile privacy breaches and has completed systemic reviews that examine the impact of new and emerging technologies on privacy. Ms. Denham has led the BC office to take a proactive approach to the enforcement of access and privacy laws. A newly-created policy and technology team conducts systemic investigations and monitors the latest developments in access and privacy. The Policy Brief is a policy communication competition where participants have 3 minutes or less to present their policy proposal for unresolved issues in public administration to a panel of non-specialist judges and peers. Meet our participants Roy Cullen, Thea Bracewell, Sally Reid, Jarett Lalonde, Teka Everstz, Dan MacKenzie and Kim Fowler. 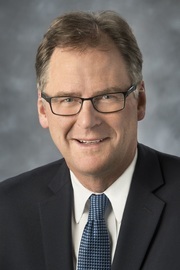 John Dyble was appointed deputy minister to the Premier and cabinet secretary on March 14, 2011 and reappointed on May 30, 2013. In this position he is also the head of the public service, the largest employer in the province with over 30,000 employees and more than 200 distinct fields of occupation. Previously, Mr. Dyble was the deputy minister of health services. In 1989, he joined the Ministry of Regional and Economic Development. In 1993, he was appointed regional director of the Vancouver Island/South Coast Region in the Ministry of Small Business, Tourism and Culture. John became the assistant deputy minister of planning and major projects at the Ministry of Transportation and Highways in 1997 and was subsequently appointed assistant deputy minister of highways in 2001. John was appointed deputy minister of transportation in 2005 and served in that capacity until January 2009 when he was appointed deputy minister of forests and range. John was appointed deputy minister of health services in June 2009. 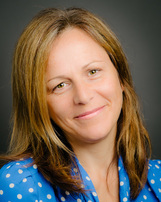 In July 2014, Athana Mentzelopoulos assumed responsibilities as Deputy Minister for Jobs, Tourism and Skills Training and Ministry responsible for Labour. In this capacity, her responsibilities include the BC Jobs Plan, immigration and the provincial nominee program, skills training funding and policy, tourism policy and funding, small business, regulatory reform, and the major investments office. Her talk will highlight: BC's intergovernmental priorities; How BC is engaging the federal government; and, successful - and not-so-successful - approaches to advancing intergovernmental priorities. IPAC Victoria invites you to a talk by, Arn van Iersel, a graduate of the University of Calgary with an honors degree in economics. Arn later studied accounting and became a CGA in 1986, and is now an FCPA, FCGA. Arn worked with both the Alberta and British Columbia governments in a public service career of over 32 years. Major positions held include Comptroller General, Associate and Deputy Minister Children and Family, Acting Auditor General and most recently Acting Auditor General local Government. The Policy Brief is a policy communication competition where participants have 3 minutes or less to present their policy proposal for unresolved issues in public administration to a panel of non-specialist judges and peers. A special thank you to all of our participants including Keleigh Annau, Cathy Chen, David Kim, Nicolas Mejia, Rebekka Schnitter, Andy Stuart and Kym Thrift. IPAC Victoria invites public servants who have joined the public service in the last five years as well as post-secondary students who are considering a career in the public service to a Victoria New Professionals Beer Tour and Networking Event. April 2015: IPAC Victoria - "Nudging"
Did you know that the UK, US and Australian governments are increasingly using "nudge" strategies to influence the decision making of their citizens? These governments see "nudging" as an alternative approach to legislation and regulation to achieve selected public policy goals. As an example, putting fruit at eye level in grocery stores to encourage healthy eating would be considered a nudge, whereas banning junk food would not. You are invited to join us for a talk by George Farkas, the Deputy Secretary of Treasury Board in the Ministry of Finance, on the making of a provincial budget. George will address topics such as how budget priorities are determined, how program expenditure and taxation levels are determined and other budget-related matters. George will also discuss his role as the Deputy Secretary to Treasury Board. You are invited to join us for a panel discussion on emerging trends in public administration. On the panel will be Elaine McKnight, who is the Deputy Minister responsible for the BC Public Service Agency, Jason Johnson, who is the Victoria City Manager, and Roger Girouard, who is the Assistant Commissioner (Western Region) with the Canadian Coast Guard. The moderator will be Evert Lindquist, who is the Director of the School of Public Administration at the University of Victoria.